In a world where material and resource costs fluctuate so rapidly, it is imperative that procurement costs and contracts are as accurate as possible. Our shared local knowledge, and market intelligence, mixed with a broader perspective of the construction industry; keeps our services sharp, accurate and reliable. Investor and end-user investment risk is mitigated by providing comprehensive and reliable estimates based on our broad experience of projects and construction markets throughout NZ. Real-time project costing and reporting allows ongoing control of every project. Rawlinsons treat contract administration services equally as importantly as the earlier estimation and cost planning work. Every client has slightly different reporting needs and Rawlinsons will adapt each reporting system to specifically reflect those needs whilst maintaining focus on the most important deliverable – forecasting a reliable out-turn cost. A framework to negotiate and agree contract cost variations and determine final account values with the other consultants and the contractor, and a recommended final account. The New Zealand construction market is busier than ever, and construction prices have become more unpredictable, making the procurement process infinitely more challenging. Securing the right resources at the right time for the best price is key to delivering projects on time and within budget. Contract procurement plays such an important part of every project, covering issues of availability, timing, cost, performance and quality. Market upheaval and timing pressures highlight the risks that various procurement options bring. Rawlinsons are fully conversant with the relative strengths and weaknesses of the different procurement strategies, and regularly advise clients on alternatives and which strategy will be most suitable for a project or programme of work. Various alternative payment and incentivisation options e.g. Rawlinsons bank reporting/funding experience is wide-ranging. Significant South Island Irrigation Projects, Commercial Offices, Carparks, Retail, Hotels, Motels, Warehouses, High School facilities, Retirement Village developments and Aged Residential Care. The key people representing Rawlinsons in this sector are Mark Burrows, Director – Dunedin Office and Nick Thompson, Senior Quantity Surveyor – Christchurch Office. Registered Quantity Surveyor Mark, and Nick, are supported by our core delivery team who are all long-standing experienced Senior Quantity Surveyors and follow the Rawlinsons “no surprises” approach to financial and project reviewing. In our opinion successful bank reporting services rely not just on ‘ticking boxes’ but on casting a critical eye over the project in question, this is where we firmly believe that experienced members of staff are involved; as their experience to sniff out potential issues at the earliest stage gives banks an early ‘heads up’ and opportunity to mitigate any potential problems. 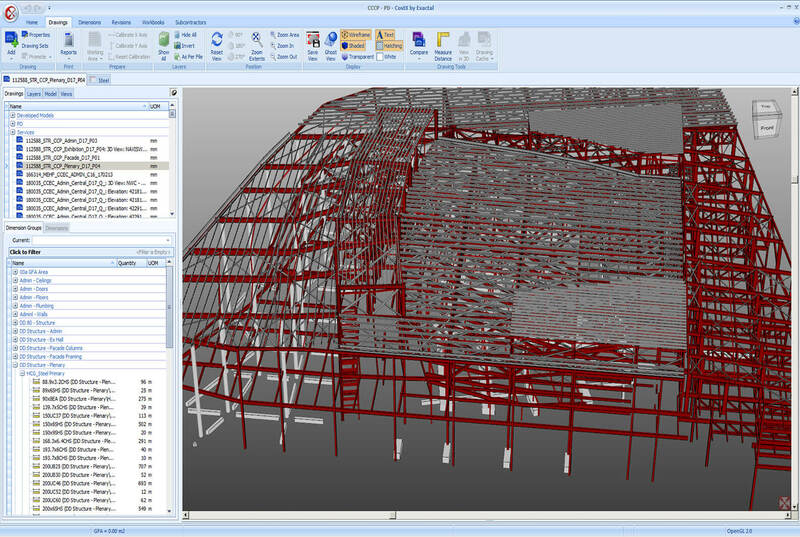 Building information modelling (BIM) is a process involving the generation and management of digital representations of physical and functional characteristics of places. Building information models (BIMs) are files which can be extracted, exchanged or networked to support decision-making regarding a building or other built asset such as water, refuse, electricity, gas, communication utilities, roads, bridges, ports, tunnels, etc. Rawlinsons have invested heavily in model-based estimating and Rawlinsons staff are trained in its use. This is the sort of specialised knowledge that Rawlinsons, using the latest BIM tools, can use to produce accurate cost estimates. Construction wisdom, not simply “counting,” is one of the real values that Rawlinsons bring to the cost estimating process. By using a building information model intelligently Rawlinsons can validate and expand on the drawings, take-offs, counts, and measurements. The information directly generated from the underlying model is therefore consistent with the design and when a change is made in the design – a smaller window size, for example – the change automatically ripples out to all related construction documentation and schedules, as well as the cost estimate. 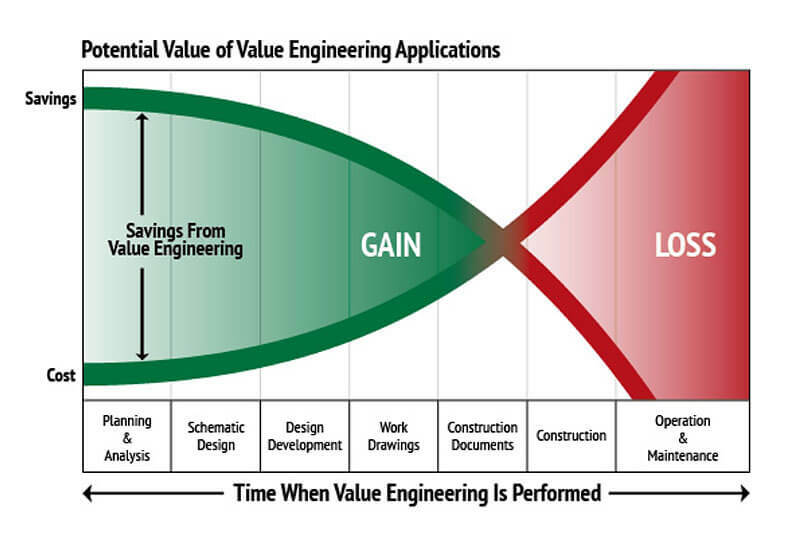 Value Engineering focuses on the expected outcome of a project and shouldn’t be confused with reducing scope to meet the budget. Once the outcome is clearly established, understood, agreed and defined, the process addresses the question of how the project will be delivered. Rawlinsons believe that Value Management should be done for all projects, it is an inherent part of what we do, and provides an exceptionally powerful tool to explore a project’s objectives and aspirations from the client’s perspective. Identification – awareness of the risk; this can be cost or viability or construction risk. Assessment – Estimate the likelihood and impact; what is the likely outcome. Evaluation – Judge the action required; what steps need to be taken to negate or reduce the risk. Management – Implement the solution to reduce, control or ameliorate the risk. Review and Update – Ensure the risk is kept live and is managed and reviewed regularly. independently of either contracting party, to fairly and impartially make the decisions entrusted to him or her under the Contract, to value the work, and to issue certificates. As ‘Principal’s agent’ we will act in the best interest of the principal and use our experience to be the principal’s expert advisor and representative. For example, when we receive payment claims, and issue progress schedules, this is done explicitly in our capacity as the principal’s agent. 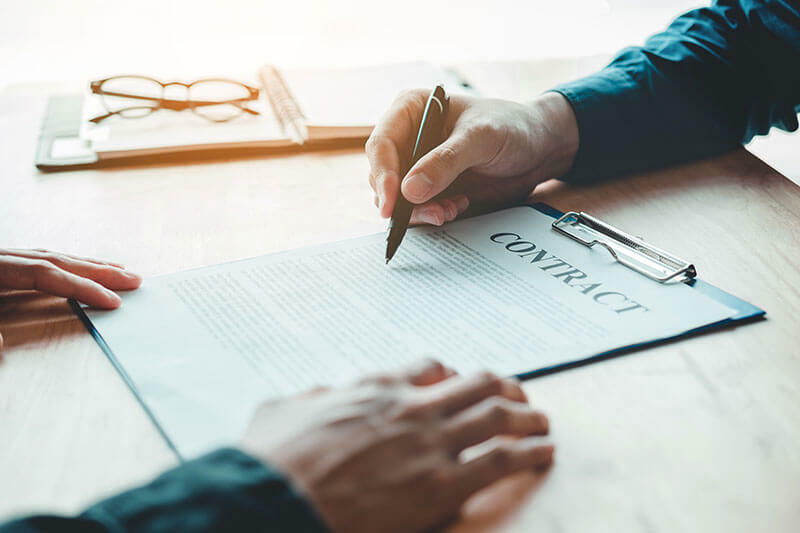 When making decisions, such as approving and valuing variations, confirming unforeseen physical conditions, and granting extensions of time or valuing the contractor’s payment claims, we will do so as an impartial administrator. Any disputes between the contractor and the principal are referred to the Engineer for an Engineer’s determination. When acting as the Engineer we will strive to properly perform the quasi-judicial role in good faith, following the rules of natural justice. 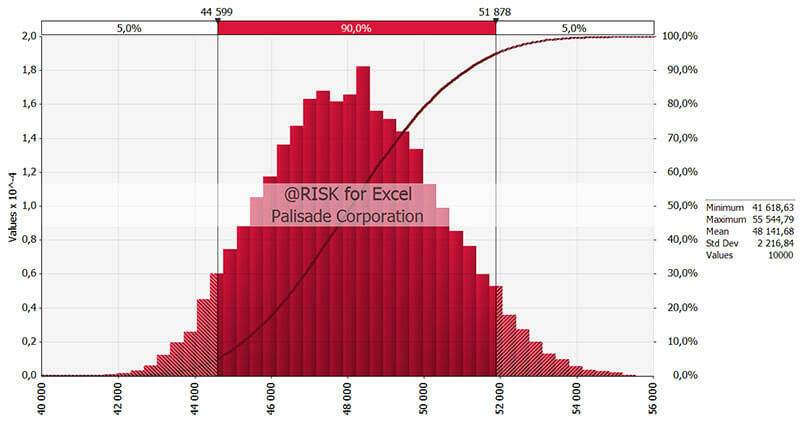 Quantitative risk management is the process of converting the impact of risk on the project into numerical terms. This numerical information is frequently used to determine the cost and time contingencies for the project. Rawlinsons offer Quantitative Risk Assessment (QRA) as an additional service to clients that need more in-depth analysis of their project’s risk-profile. Julian Donald and Mo Ibrahim use the relevant tools and their local, national and international experience to provide a full range of QRA analysis and reporting. Rawlinsons can facilitate, lead and provide input to a project-specific workshop in which all parties are encouraged to use their expertise to identify project risks. Following the workshop, we then perform a software-based analysis of the results to determine the likelihood of each risk and assign costs. Rawlinsons then assess the overall impact of the risk profile on the project budget and provide a report that clients can use to determine the possible viability of the project. The emergence of facilities management and Public Private Partnerships (PPP) is making it vital for occupiers, developers and construction teams to consider how much a building will cost to occupy. This can be as much as 10 times the capital cost over a 25-year lifespan. 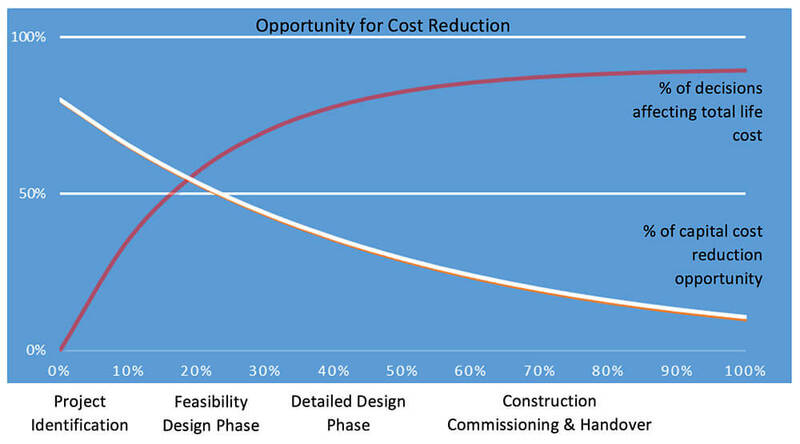 Life Cycle costing is intensifying within the construction industry. Its growing recognition is multi-faceted but implications from the Treasury Report on Cost Benefit Analysis, client requirements for total cost throughout a building’s life and the ever-increasing influence of BIM are significant factors. By having a better understanding of ongoing overheads, along with future environmental and social costs of their assets allows a business to plan more accurately and have a better appreciation of their impact on the world around them. Our people led by Director Lawrie Saegers have an in-depth understanding of all aspects of lifecycle costing, helping you effectively plan your asset’s future. What are the benefits of Whole Life Costing for companies? providing data on actual performance and operation compared with predicted performance for use in future planning and benchmarking. 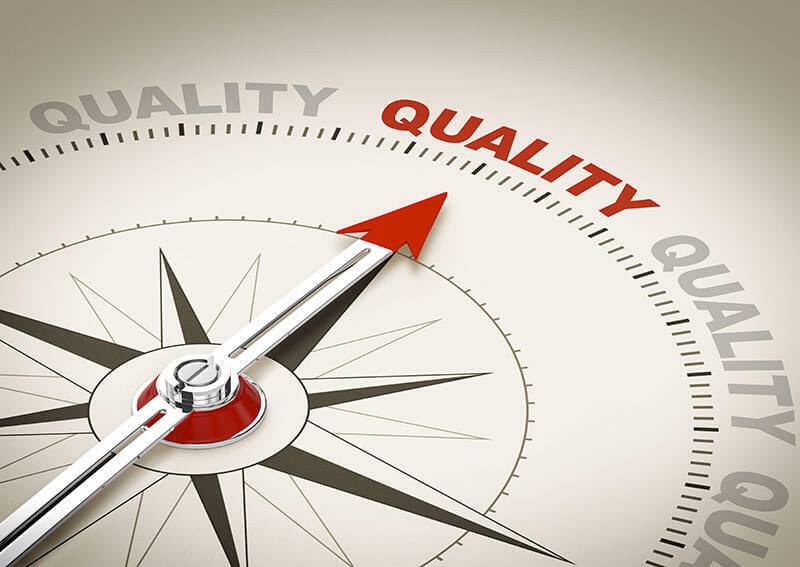 Rawlinsons maintain a mandatory company-wide Quality Assurance System that incorporates a Quality Assurance Manual. And most importantly – a strong culture of internal peer review of work both within each office and nationally by sector specialists.